A baby shower is a special party for an expectant mother. Create diaper-shaped invitations with a boy or girl theme that will delight the guest of honor. Three folds on a triangle-shaped blue or pink decorative card stock and a few embellishments make these invitations one of a kind. Make two equal triangles by folding the sheet of card stock from one corner across to the opposite edge. and make a crease. 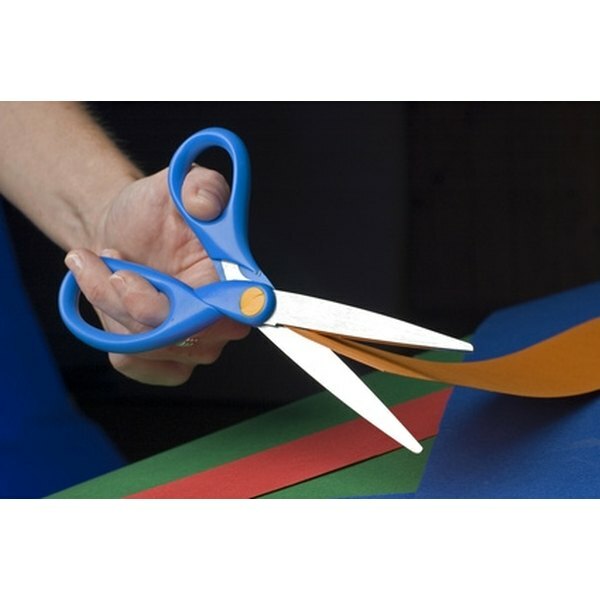 Cut off the excess paper with a paper cutter. Open the triangle (a square) and cut it in half at the crease with the paper cutter. Cut 1 inch of the tips off the two corners with scissors. Set the other triangle aside for another diaper-shaped invitation. Fold the unsnipped corner up 2 inches and make a crease. This is the bottom of the diaper invitation. Fold the other two ends in and down a little so the ends overlap 1/2 inch and make creases. Attach a contrasting plastic button with hot glue on the outside flap tip of the invitation (where a diaper would be secured). Attach a tiny safety pin on top of the button with another dab of hot glue. Let dry. Print on white card stock, cut to size with scissors, and attach inside of diaper-shaped invitation with double-sided tape. Address the envelope to a shower guest. Insert the diaper-shaped invitation and mail. Other possible embellishments can include a pink or blue bow, a baby-themed button or ornament. For over 25 years, Natasha Lawrence has written for publications from "Alaska Business Monthly" to "Savannah Magazine" and provided destination content as Florida city editor for Wcities. Her expertise in arts and crafts includes calligraphy, painting, mosaics, jewelry making, paper crafts and home decor, often offering workshops in museums and art centers.